As an author, illustrator, and publisher of her own children’s book, Pat on the Back, Megan Baxter knows a thing or two about creating. Below, she shares an important reminder about the process of creating and why it’s okay to slow down, connect and put yourself first. I feel like the world is always telling me to go faster. To be less precious. Be tenacious. Diversify. Throw things at the wall until something sticks. Always. Be. Closing. Through years of failures and successes, I have come to understand my work habits and motivations. How I gain creative fulfillment runs contrary to most of the free advice I read. Too many times I let an imagined focus group shoot down an idea before I even put it to paper. I’ve grown to realize I need to create with myself as the primary audience and let my ideas mature before releasing them into the world. If you want to try that too, it’s ok. When I was a new mother, I was drowning in negative inner critique. I focused on every mistake and shortcoming. So I made the positivity I needed. 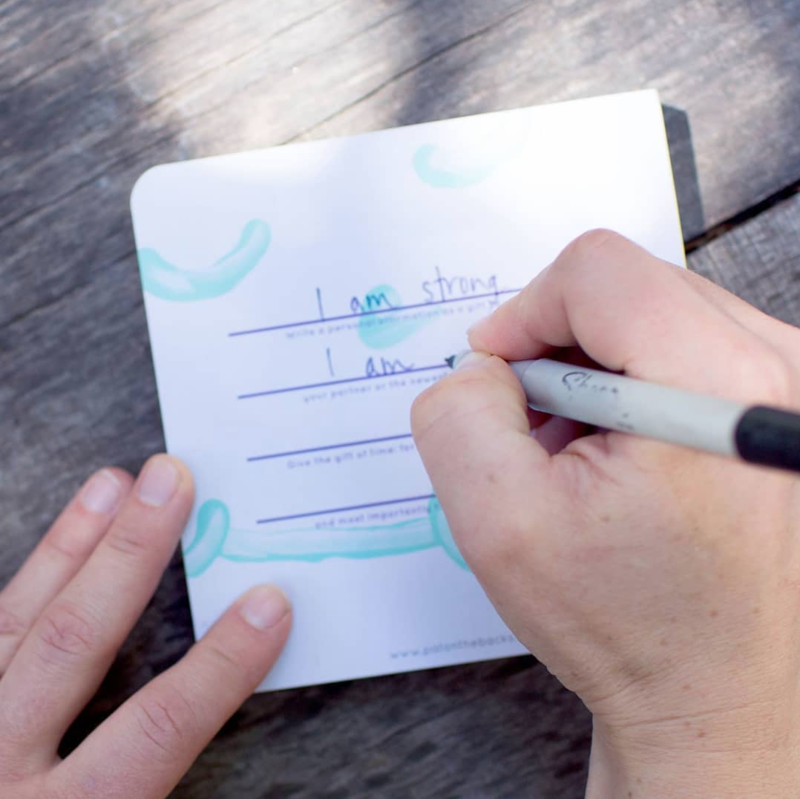 I wrote a book of affirmations, Pat on the Back, for me to read aloud to my daughter during our “story-time”. Reading to your child is encouraged from the first couple weeks onward, but as a first-time parent, it was awkward. My little newborn didn’t care what, or if, I was reading. Reading my book of affirmations to her forced me to say nice things to myself, while still feeling good about having dutifully read to her. I say this to illustrate a larger point. Create to heal your pains and find your joy. There is no shame in ignoring the outside audience when you create. Writing, art, design, performance, cooking, whatever: create for you first. There is validity in the act of making for one’s self. It creates authenticity, so when you are ready to share, it reaches an audience at a visceral level. You impart part of your struggle in the solution and that realness is seen and felt. In the face of overwhelming, and underslept, negativity, I needed a ritual that made me focus on the positive, without feeling guilty that I was being selfish. I fully felt that need. I knew it inside and out, and seeing that need articulated is what my small-but-growing audience responds to For that reason, creating Pat on the Back was the most emotionally and creatively fulfilling thing I have done. I have a library of idea debt overflowing with things to sell, services to provide, businesses to make, but I never make any of them. They fade away because I moved from idea to implementation too quickly, and the idea wasn’t mature enough to survive the transition. I found space to create in slowing down. I won’t lie, it can be hard, some days I get caught in the comparison trap and feel “behind”. But it’s worth it, WE are worth it. In a world full of quantity, let’s be the quality. I spent months living with my idea of parental affirmations. I talked about it endlessly. I iterated. I drew, I wrote, and wrote and wrote and drew. I avoided forming its edges. I learned more about me and what I needed. That simply took time and I am glad I took it. There is a vulnerability and fear in only creating for yourself. What if no one likes it? OMG, then they are rejecting me? That could happen. But when you create for yourself each customer/user/collector connects at a human level. They join your creative journey. You might sell less but there’s no idea or process that guarantees “success”, in terms of sales. However, if you solve a real need in your own life, at the very least you’ve made something worth sharing. And, good news, you will never run out of ways to make your life better. One constant in the human experience is that we all find ourselves in situations we feel utterly alone in an experience. It’s part of the basis for why we seek out shared experiences in the form of popular media. “I wonder if anyone else feels this way?” is maybe the primary unifying inspiration for all of Art. Sharing what you make is the only way to get an answer to that question. Megan Baxter lives in Austin, TX. 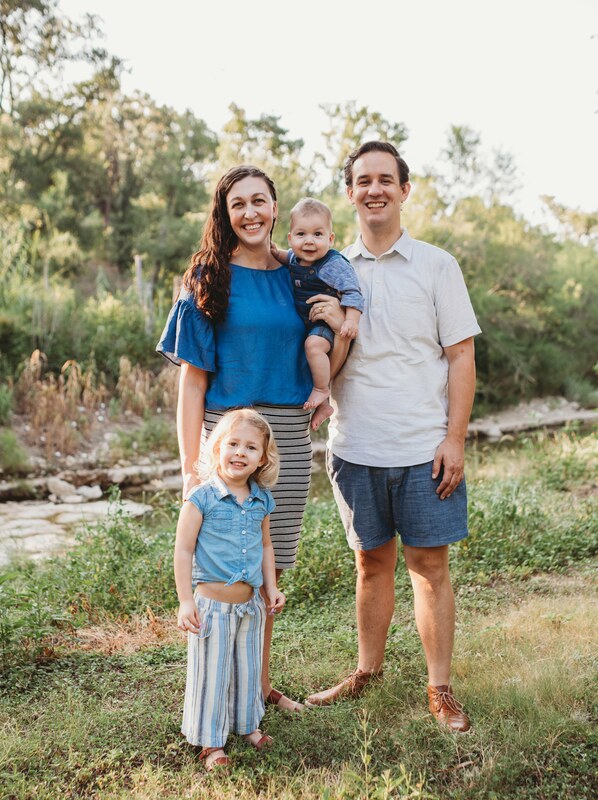 She constantly succeeds and fails at maintaining a healthy work life balance between her day job as a UX Design lead at IBM, being an author, illustrator and publisher of her children’s book, Pat on the Back, building her family’s dream home in the hills, and raising two children on tacos and queso. Photos by Pat on the Back, Louisa Marion Photography, and Jessica Rockowitz.